If you were born September 24 — October 23, you are a Libra! The most balanced personality, the power of unearthly charm and easygoing stick-to-it-iveness, combined with a deep need to please others, that must describe Libra! Refined, meticulous and thoughtful, yet able to chart a steady course and reach their goals, the Libran is soft, ­likable, yet ­curiously sturdy and resilient. Maddeningly, he or she can also be indecisive, unable to face confrontation, and so dependent on love as to lose themselves and to be controlled or used by unscrupulous mates and ­children. Above all else, this sign needs trustworthy, symbiotic ­relationships, ones in which order and harmony ­prevail. Libra is looking for the perfect mate and is usually spoiled for choice. No other sign is so softly refined, ­so ­elegant and poised, and all are well-famed for pleasing ­features and graceful manners. Certain members of this sign are absolutely irresistible, the gentle homme and femme fatales of the zodiac. Love at first sight? The object of devotion is probably a Libran. Their pleasing natures are softly addicting and the smitten will pursue him or her to the ends of the earth seeking favors. As a lover and parent, things go well when they glide softly. A gentle, cultivated, slightly brainy partner does best. Children who are affectionate, always tidy, and downright pretty are most welcomed. 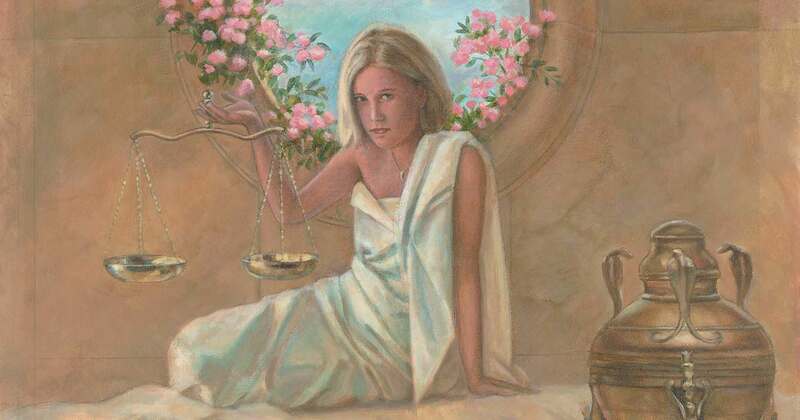 In love with love best describes a Libra. 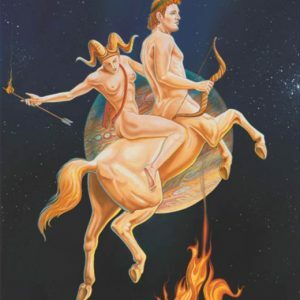 They really do want to please everybody and will try their hardest to do so, but after giving it their full effort and failing, the Libran is guaranteed to move on. There is a line that, when crossed, sends them finally toward change. It just takes a lot longer to get them there than it does other zodiac signs. Some suspect laziness, but that’s not at all accurate. These subjects are just calmly waiting for the insight or the right moment to continue on their way, or sometimes the next greatest thing to come along, and it usually does. The Libran does well in all partnerships from business to romance to family. The scales of justice and balance operate full tilt in this personality. Reasonable and obstinate, compliant yet demanding, their strengths and weaknesses flow back and forth. What does it take for this ­subject to reach his or her potential? For one thing, the ability to look beneath the surface; the Libran does not like to explore murky depths. Anything remotely distasteful sends them running. That’s a mistake in their understanding because the scales, which they control, must measure everything. The harvest is weighed against gold. Good always accompanies bad. Loss against gain. If the scales of justice and truth are to remain even, then all must be measured. Libra would sometimes rather not. It’s all too easy for him or her to create a world in which superficial harmony and beauty reign. Their destiny is to find themselves through others, because only in human connection do they experience the absolute richness of life. The lack of that quest can lead them too often into complacency and mistakes in judgment. While these are the gentlest and most refined of souls, the most graceful of humans, and the ­closest to perfection anyone comes, their great happiness ­usually comes only through connection to others. Without a solid relationship, Libra remains forever unsatisfied. The images you see in this post, and on all our posts about the day you were born feature artwork commissioned exclusively for East meets West. Read about the artists and visit our Shop if you would like to purchase art prints, books or other items featuring our beautiful paintings. Sign up for our newsletter to see stay up to date with our posts! It’s easy, just submit the form at the bottom of the page – we just need your name and email address. Check our calculator to find your Combined Eastern Animal and Western Zodiac sign to see how your Eastern animal sign combines with your Western sign to create your unique personality. You won’t get a better insight into what makes you who you truly are. And find your significant other, family and friends. You will be surprised how their combined personalities complement your own! Discover More About Your Combined Western and Eastern Signs in our book series.